Love them! Great service, great people, great prices! I recently had to replace about a thousand square feet of carpet in my home. I made a thorough tour of carpet stores in the area, looking at carpet, talking to salespeople, and ended up getting five different appraisals for the job. The folks at Shelton Lee (Tom) were by far the most helpful, and knowledgeable, and followed through with info and provided the most detailed explanation of the cost and considerations, and pointed out to me some things that were necessary that I hadn’t considered. I ended up going with one of the most expensive carpets, for which three of the stores didn’t really have anything comparable. Their price was very good in that it was about $2000 less than the estimate from the one other place with the exact same carpet. The installation was perfect and everything cleaned up. it’s not often that I end up being this unreservedly happy with something I buy or some service. 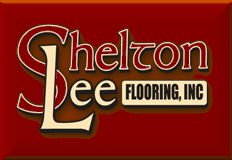 I highly recommend Shelton Lee Flooring. We were lucky to have such a wonderful company to work with. We just finished having our 100 year old hardwood floors finished. They did a spectacular job. They were sanded and finished within two days. I cannot tell you how happy we currently are. Our floors were unimaginably dirty and old. We thought there would be little to no hope. However, this company and the two employees that completed this job, were very professional and hard working. I would highly recommend this company to anyone in need of hardwood floor work as well as carpet. They did a sand & refinish job on the hardwood floor in our 52 year old home. The outcome was amazing. The appearance is beyond our expectations. The crew arrived on time and finished on time. The price was competitive. We had expected the house to have a heavy layer of dust everywhere, but even that was not too bad & cleaned up quickly. The only thing I didn’t like was the smell of the coating they put on the floor. Some quality time with the windows open and we’re good to go. I do not hesitate to recommend this company.